Managing the impact of development on water resources is now an urgent challenge in California. 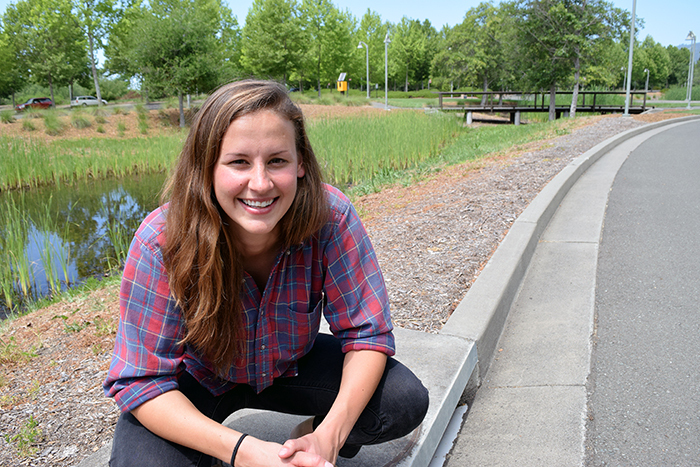 Sonoma State University's Center for Sustainable Communities (CSC) has developed a new, open-source "early intervention" tool to evaluate development's impacts on water resources. "This tool is especially relevant to the current drought and the long-range concerns about reduced water availability and climate change," says the Alex Hinds, interim director of the center. He developed the tool along with staff members Allison Lassiter and Wayne Goldberg, and eight SSU students, under contract with California's Department of Water Resources. Goldberg and Hinds are both former community development directors in Santa Rosa and Marin County, respectively. Goldberg was also interim city manager of Santa Rosa. The Integrated Water and Land Management Tool is a user-friendly Excel workbook that evaluates the effectiveness of water conservation measures being considered in a project or by suggested redesigns or permit conditions. It was developed in partnership with Elizabeth Patterson, an environmental scientist with the DWR. It allows users to use local data to compare construction and maintenance costs, as well as carbon production, of different development approaches in regards to water use. Users can specify residential land cover and infrastructure choices, and compare development outcomes, especially at the lot and neighborhood levels. Four case studies of suburban development in Sonoma County were compared and contrasted using the new tool. "Strategies that emerge from its use support more efficient growth with fewer environmental impacts," Hinds says. "They can include suggestions to decrease indoor/outdoor or residential water consumption, decrease the quantity and flow rates of storm water runoff and improve its quality, and protect downstream riparian habitat." Hinds added, "It is strongest in finding ways to reduce hardscape use, opening the way for creative ways to recharge groundwater, also reducing erosion and pollution." Patterson said the greatest impact may be seen with public infrastructure choices. "Most leading city planners would be very interested in knowing the tool exists, is available, and is easy to use." California's recently enacted Sustainable Groundwater Management Act requires creating new local sustainable water agencies and sustainable ground water management plans for medium and high-priority ground water basins in California, three of which are in Sonoma and Marin counties. "This tool will be sought after by these new initiatives," says Patterson. "There are cost saving benefits by avoiding large, engineered flood management structures, and avoiding storm water treatment facilities," says Patterson. "Clearly, water supply benefits are the focus of all of us and the integrated water management strategies the tool advises are sustainable, affordable and durable." For more information, contact Alex Hinds, Interim Director of the Center for Sustainable Communities, at hindsa@sonoma.edu. • Homeowners interested in testing possible retrofits to their properties, examining costs versus benefits. • Residential developers seeking to evaluate different design strategies. • Local agency officials, including planning and public works staff, and elected and appointed decision-makers, such as council members and planning commissioners. • Regional agencies and researchers seeking to envision cumulative impacts of development or evaluate alternative futures.